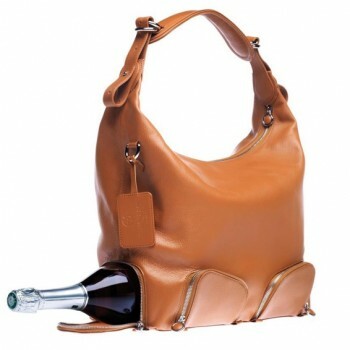 Top 10 wine handbags. Some guys can carry too. The traditional handbag has had a make-over after a Swiss creator redesigned it with a special compartment for a bottle of wine. Gone are the days it seems when a plastic bag or rucksack is good enough to carry a bottle of vino.